What’s one thing that sets you apart from other Rascal Flatts fans? I have been a super fan for over 15 years now. I know all of their songs, and have gotten so many family and friends to fall in love with them as much as I have. Tell us your favorite Rascal Flatts related story: In 2016 I found out I was pregnant with twin boys. 2 weeks after I found out, I also found out that I had been chosen for a meet and greet that I had been waiting for Since 8th grade. No one knew that I was pregnant yet, and my parents came To the concert with me and my husband. I had gotten a shirt made that said “future Rascal Flatts fan” with an arrow pointing to my belly that I changed into without my parents knowing. 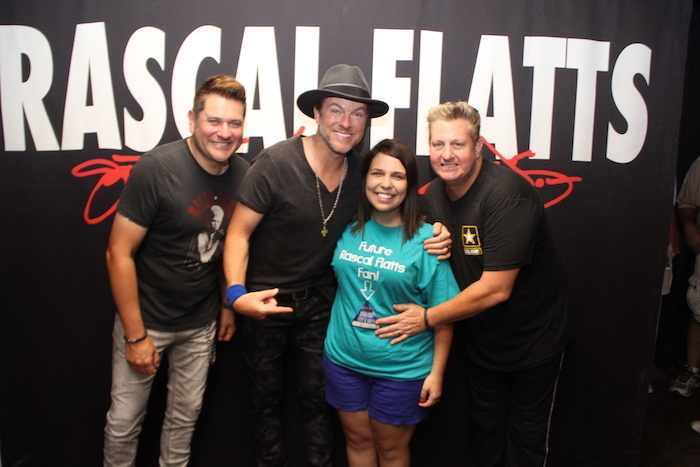 Rascal Flatts were the 1st to know about my pregnancy and it was the best way to announce it to everyone else. It was a moment I will never forget. I then had my twin boys 4 Months premature and they were only 1 pound 6 oz at birth. I would play Rascal Flatts music in the NICU for my sweet boys. 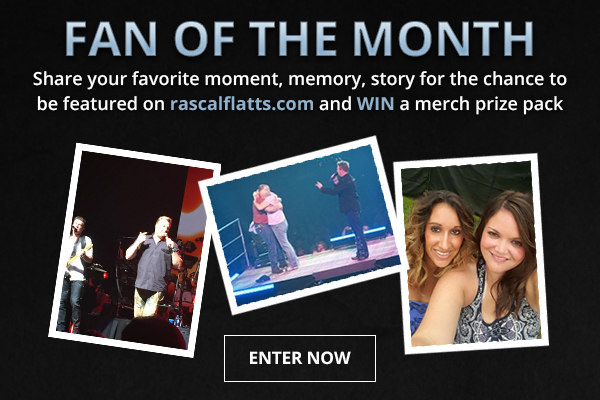 Congratulations go out to Brittany, she will be receiving a Rascal Flatts prize pack!